After two and a half seasons, Star Wars Rebels has earned the benefit of the doubt in terms of where it’s going regarding its various story arcs, and it is with this grace that one should view this week’s episode, “Warhead.” According to the episode’s trivia gallery on starwars.com, “Warhead” was originally planned as the B-story portion of next week’s “Trials of the Darksaber” and frankly it feels like it never quite evolved past that stage. It’s a fun story wherein Zeb, Chopper, and AP-5 take center stage, but it just seems small–until the end. “Warhead” opens with a scene that clearly evokes the beginning of The Empire Strikes Back as a pair of Imperial Star Destroyers launches several objects into hyperspace. But instead of Imperial probe droids, this time it’s E-XD infiltrators. A robot who at first resembles Ralph McQuarrie’s original design for C-3PO, the EX-D is also capable of physically transforming into a formidable opponent capable of easily defeating Zeb in hand-to-hand combat. The EX-D’s seemingly innocuous design causes Zeb to misinterpret its true nature and take the droid back to the rebel’s base shortly after most of Phoenix Squadron (including Hera, Kanan, Ezra, and Sabine) have departed for a training mission. Left behind with Chopper and AP-5, Zeb finds that making command decisions can have unintended consequences and most of “Warhead” is spent with the Lasat and the droids trying to deal with the fallout of bringing the infiltrator back to the base. Working together, Zeb and the droids eventually do manage to overwhelm the Imperial droid. Unfortunately, once they do subdue the EX-D, its anti-capture fail-safe engages causing an internal proton warhead to begin counting down. Fortunately, Chopper manages to temporarily freeze the countdown circuit. Having earlier been warned by Kallus (in his role as Fulcrum) that the Empire will soon hunt down the droids should it fail to report back, the trio finds themselves in a seemingly impossible situation. But much to the surprise of AP-5 (who spends most of the episode mercilessly teasing the Lasat with variations on “mindless brute”), Zeb devises an ingenious plan to return to the droid to the Empire before it explodes. And sure enough, the “Trojan horse” maneuver succeeds and the infiltrator droid explodes shortly after returning to its Star Destroyer, destroying the massive ship. As far as the rebels are concerned, it was close call that turned disaster into a small victory. But the epilogue of “Warhead” hints that there may be far-reaching implications to the events of the episode, for Grand Admiral Thrawn was able to glean information regarding the rebel base. Before the EX-Ds were deployed, there were thousands of possibilities where the rebels could be hiding. But since one of his ninety-four infiltrator droids encountered his prey, he is now able to narrow the search. It only remains to be seen what he’ll do as a next step. 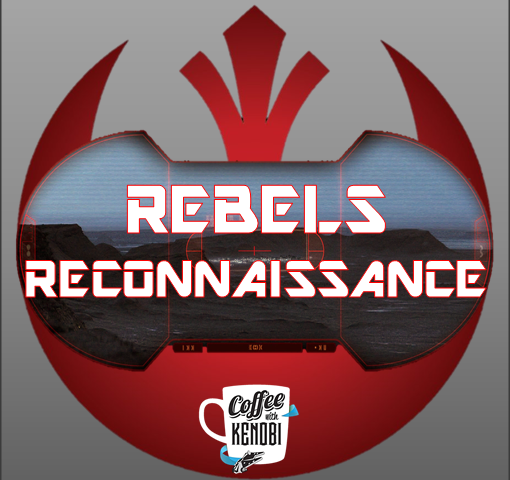 And don’t forget to check out the latest Rebels Reactions for even more insight, discussion, and analysis of this episode.